A day after being selected to his first career All-Star team, Jose Berrios came out and showed why he belongs on that team. On yet another night where the offense struggled to put up runs, Berrios kept his team in the ballgame and gave the Twins a chance to win it with a rally late in the game. 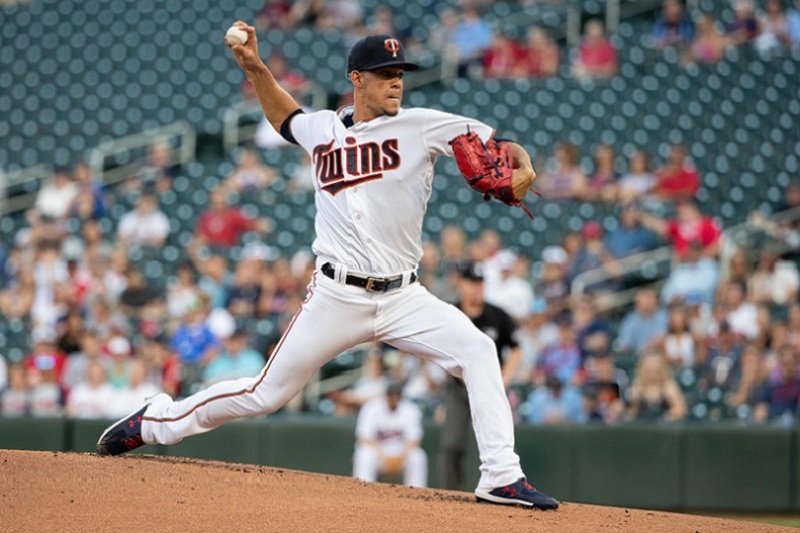 It is these kinds of performances that we have come to expect from Berrios, and it is why he gives so many Twins fans hope that he is the ACE of the future. It was smooth sailing for Jose Berrios through the first two innings, where he was perfect with three punchouts. However, the Royals got to him in the third with back-to-back doubles from Alex Gordon and Alcides Escobar to lead off the inning. Berrios was able to keep Escobar at second to get out of the inning with just one run allowed. Berrios ran into more trouble in the fourth, when he had second and third with nobody out after a hit-by-pitch and a double. Berrios was yet again able to work out of a jam by striking out Lucas Duda, before getting a couple of groundouts. All night the Twins were giving themselves plenty of chances to get on the scoreboard, but every time they got a runner into scoring position they failed to bring him in. That all changed, however, in the bottom of the seventh. Bobby Wilson led off the inning with a double and was then pinch-run for by Jake Cave. Joe Mauer followed that up with a single, advancing Cave to third. The Twins were able to tie it up with an RBI groundout by Eddie Rosario. After a Brian Dozier walk, the Twins took the lead on this RBI single from Eduardo Escobar. The Twins added an insurance run in the eighth inning, coming on Joe Mauer’s third single of the night. 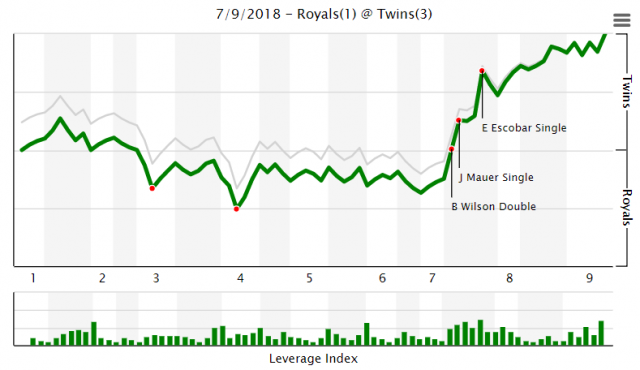 However, this run wasn’t necessary as Trevor Hildenberger and Fernando Rodney did their job, closing the door on the Twins fifth victory in a row. Win An Autographed Baseball From New All-Star Jose Berrios! Only 24 and emerging as a potential true ACE. A definite all star. Especially pitching this well for a losing team. (Kills me to say that last part). What is really disappointing to me is Rosario having to fight to be voted in. Has anyone, anywhere watched him or looked at the numbers? He should absolutely be in the game! Man, he scared me in ST and his first couple of appearances, but Hilgenberger is a stud! How awesome could this pen be with Pressly not being abused, (Maybe he should close, said it before), and Reed pitching to his normal level and someone lime Reed, Curtiss or Busentiz do what Hilgenberger did last year? That is, RUN when opportunity presents itself! Yes, Rodney has blown a few saves, (though mostly that was to begin the season). A little scary at times to be sure, but a 3.06 ERA, 36 SO in 32 IP, and 20 saves before the break for a team with a losing record. Man...what a horrible signing, right? If, and that is a BIG IF, the Twins can come out of the break on a little roll they could make things very interesting down the stretch. Cleveland is looking a little cold right now. The Twins are playing some bad teams in the near future. Good chance to get on a roll. The Indians will add at the deadline, but unless it's Manny Machado, they could still be mortal. Sweep KC and win the series against TB, and they just may be close enough to dash any hopes of selling off pieces that should be sold. Could potentially be a bad time for a winning streak if the FO then refuses to sell. Say we sweep KC and take 3 of 4 from Tampa going into the break.That puts us 4 games under .500 and probably within 7+/- of Cleveland. Unfortunately, there are two problems with that.One, the break may break our momentum and we come back cold.The second is that it gives the team hope when I really doubt we will make the playoffs and would be better off long-term by selling a few parts later this month.What will they do? It would be great to get at least fleeting hope by making a run. It would even be better if that run came without Lynn, Duke, Rodney, Dozier and Morrison on the team, having been traded away and replaced by Romero, Santana, Busenitz, Bard, Adrianza, Gordon and Wade, or some combination thereof.You gotta realize who you are and sell at the deadline.